Former police sergeant Maria Kallio gladly left her tiny Finnish hometown of Arpikylä without looking back. 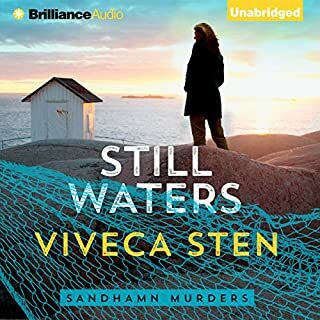 But even though Maria despises the small town and the acrid smell from its now-closed copper mine, when Arpikylä's sheriff asks her to serve as deputy sheriff for the summer, she agrees. What should have been a quiet summer soon turns dramatic - and deadly. 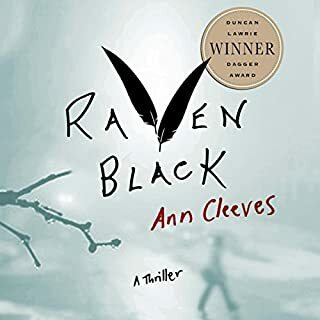 Meritta, an outspoken local artist, plunges to her death from the copper mine's tower, and Maria immediately suspects someone helped her fall. 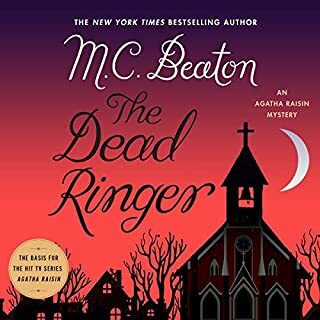 Now Maria must face the harsh truth that one of the town's residents killed Meritta, and friends Maria has known for decades all harbor their own murderous motives - even Johnny, her gorgeous former crush who almost makes her forget about her long-distance boyfriend, Antti, who is studying in Chicago. ©1994 Leena Lehtolainen (P)2015 Brilliance Audio, all rights reserved. English translation © 2013 Owen F. Witesman. Another great book in the Maria Kallio series! And a great Audible performance. Highly recommend! 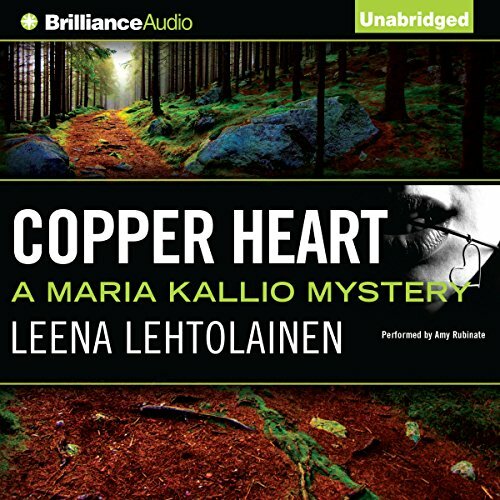 This is my third audio book by Finish author Leena Lehtolainen in the Maria Kallio series. I'm not listening to the books in order. The series books are police procedurals which are heavy on both relationships and suspense. Narrator Amy Rubinate performs superbly and is especially good with male voices. Highly recommended! Ready to start book 4 !!! 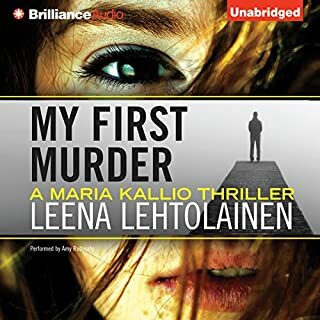 Book 1 in the Maria Callio series was confusing to me because of so many Finnish names and so many characters but I was determined to finish listening to it. 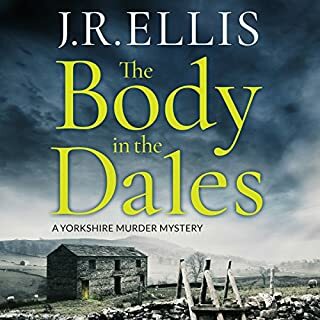 The plot was decent and it qualifies as a mystery so I went on to book 2. It was good so I thought what the heck let's see if they keep getting better and now just finished book 3, Copper Heart. Ready to start listening to Book 4. The plots are good although there are lots of characters with obviously Finnish names I am enjoying sticking with the series.. 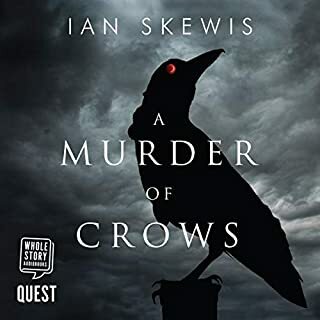 The narrator is excellent, pleasant to listen to or I would have stopped listening in the middle of book 1. I don't think I would read the books but am glad they are so far available in audible versions. Listened to the audiobook in one session whilst walking. The best so far. Cannot wait to listen or read the book.